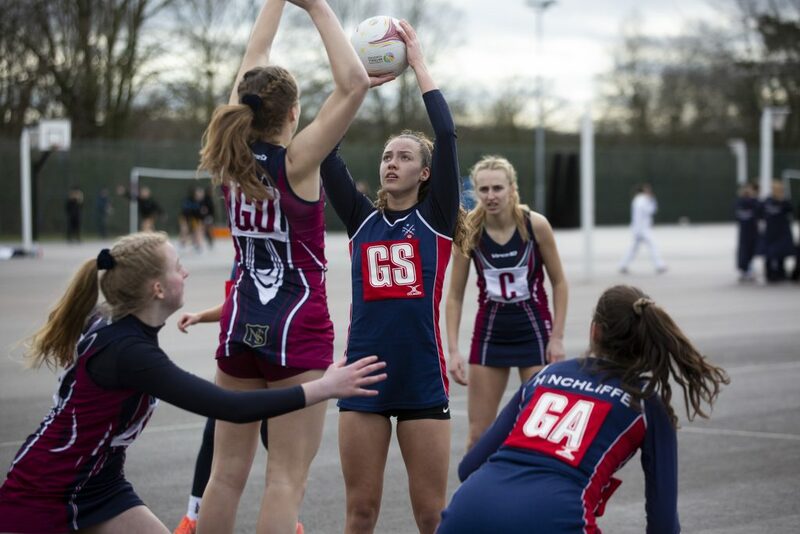 An incredible display at the Regional Finals saw all three of Berkhamsted’s netball teams progress through to the National Finals. This triple achievement has never been matched in Berkhamsted School’s history, and it’s almost unprecedented throughout the whole country. Each team will compete at the National Finals in March and hope to add to Berkhamsted’s growing trophy collection. The U14s will attempt to defend their national title having won in 2018. Berkhamsted’s netball players and staff celebrated together as they realised the magnitude of the success of having all three teams qualify. It was rewarding for the supportive parents, who braved the weather on the day. The U14, U16 and U19s had each already progressed through from the local rounds that began in September. This Saturday’s Regional Finals brought together the top schools from Norfolk, Suffolk, Essex, Cambridgeshire, Bedfordshire and Hertfordshire. Only the winners of each semi-final would qualify for the sought-after prize of a place in the National Final. Berkhamsted’s U14 netball team were crowned Regional Champions. They went undefeated in their run of seven games to reach the final. They eventually earned the regional title with a 16-9 win over FitzWimarc School. Overall the U14s scored 124 and only conceded 23 on the day. The U16s, featuring England U17 international Bella Baylis finished as runners-up. They secured their place in the National Final by topping the group to reach the knockout stages of the Regional Final. With some convincing victories on the day, their run took took them all the way through to the final. The U19s, a group with great history together including their U14s National title in 2016 continued their tremendous form into 2019. After progressing through the group stage, they become the regional runners-up after a closely contested 12-7 win over Framlington to reach the final. 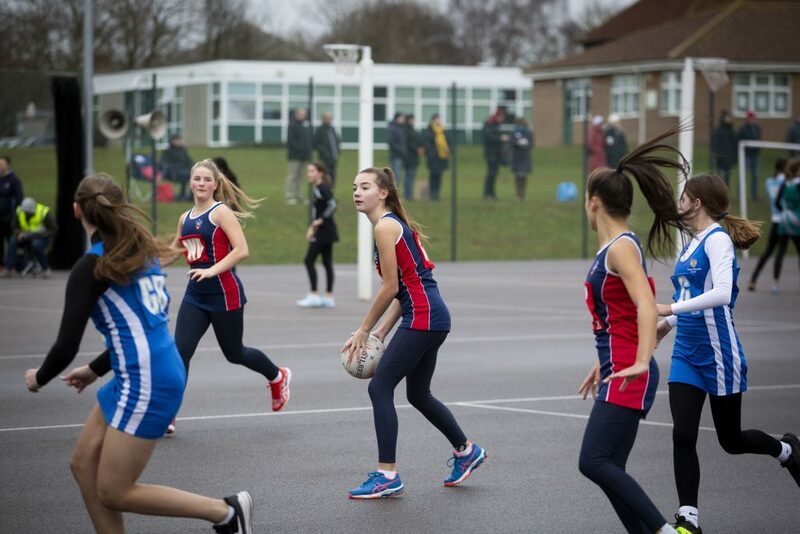 Director of Girls Sport, Jo Vila said “There is a buzz about netball at Berkhamsted, and we are incredibly proud of our girls on this remarkable achievement. All 12 players in each of our U14, U16 & U19 squads fully contributed to this success. The girls’ ability to confidently play in numerous positions enables our coaches to select different combinations in an effort to counteract our opposition’s strengths. 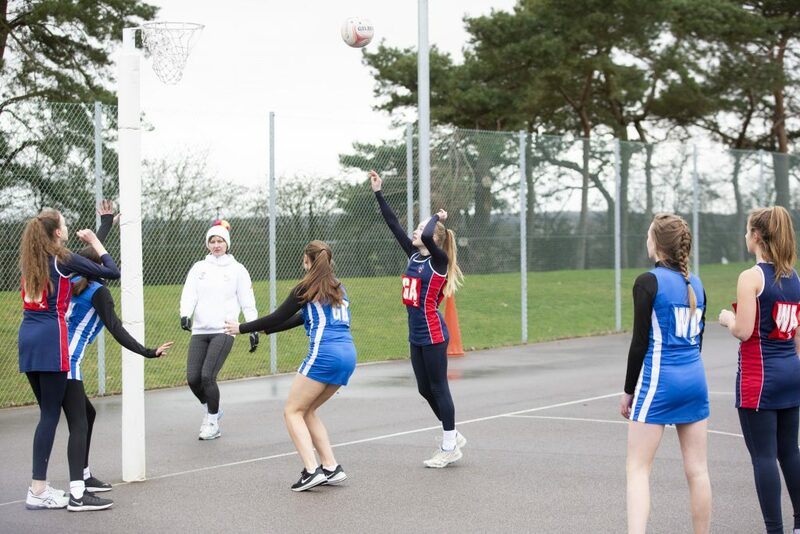 “The netball programme at Berkhamsted has been developing and growing under the direction of Dani Wates, Head of Netball. “ISNC & SSM National Cup success in 2015, coupled with a National Schools U14 title in 2016 has seen more and more girls getting involved in the sport and representing the school in fixtures. Our focus in all of our sport is enjoyment and participation and where possible we field A-E teams in each year group. “This breadth and depth has made selection for teams more competitive and at the performance end of the sport, we boast a large number of girls who are representing clubs and pathway programmes outside of School.